Good morning! 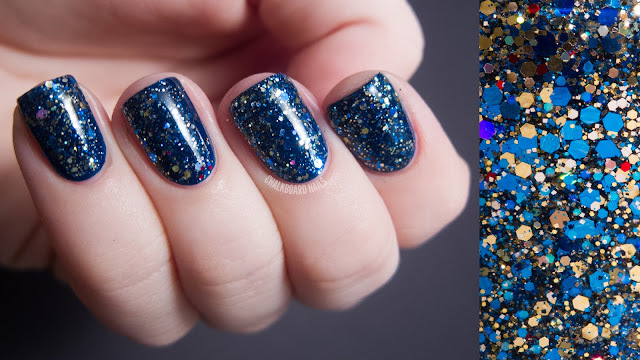 Some of you may remember my Shimmer Swatch Spam post that I did back in August. Well now I have some more Shimmer Polish for you! I'm trying to follow the same format that I did the original post in: layered swatch photos combined with macros. Make sure to enlarge the photos for optimum viewage. 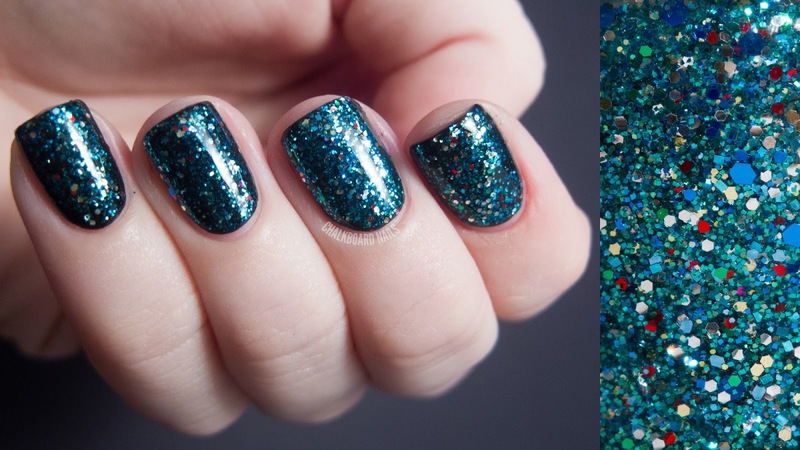 All swatches show one coat of glitter (except Karina, which is worn alone). They all applied exceptionally well, especially for the amount of glitter in them. Adrienne is a lovely mix of blues, golds, and silvers. I've paired it with Cult Nails Time Traveler here! 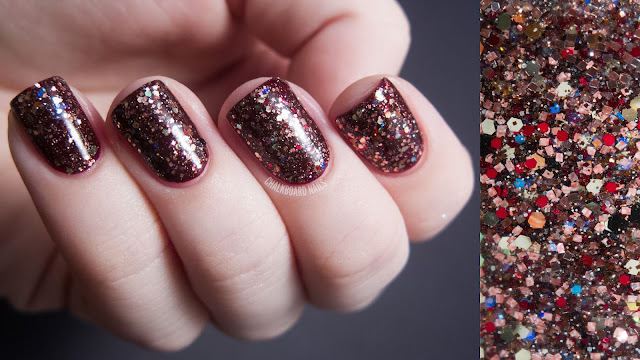 Airrianne, besides having a super interesting name, has a rosy coppery mix of glitters. I love the squares in this one. I've layered it over Mavala Burgundy. Alice is a mega blingy silver holo glitter topper. I almost showed you guys two coats of this one alone but in the end decided to layer it over Essie Stylenomics. 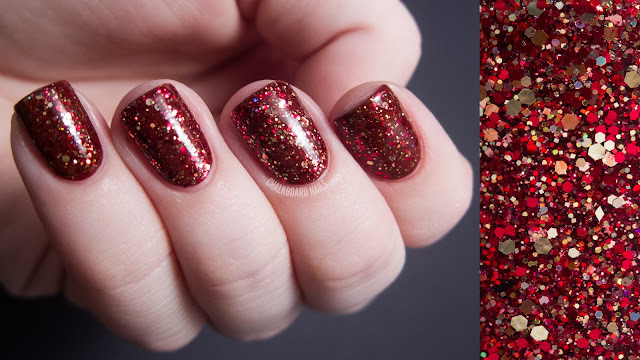 There are star glitter pieces in this one, too, but I didn't get any in this swatch. 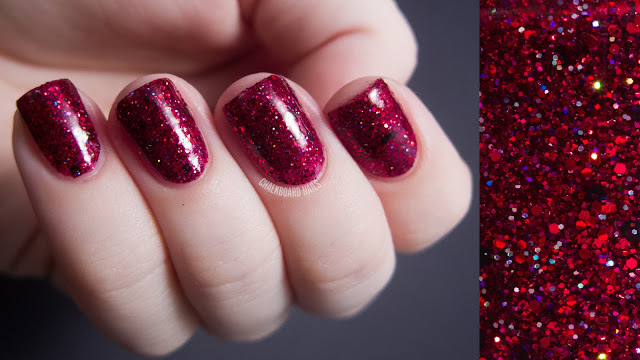 Karina is a rich burgundy tinted base with wine and black colored glitters. Since the tinting on this base was so dark, I chose to show two coats of Karina alone instead of layered over something. Linna is a rich teal and green mix accented by small red pieces. I've shown this one over black, though it's so dense that it appears to be reflecting and lightening the base color! It's really gorgeous. Really. Rochelle is a fiery red and gold mix. I've layered it over China Glaze Brownstone, a reddish brown, because I think it complements the red and makes it stand out. Tammy is a silver, purple, and black mix with bar glitters. You can see them in the macro but I don't think I ended up with any on the nail. The combo of Tammy with China Glaze Jungle Queen may be one of my favorite pairings yet! Kinda moody and edgy but not too dark. Shimmer Polish is sold on Etsy and on the Shimmer website. 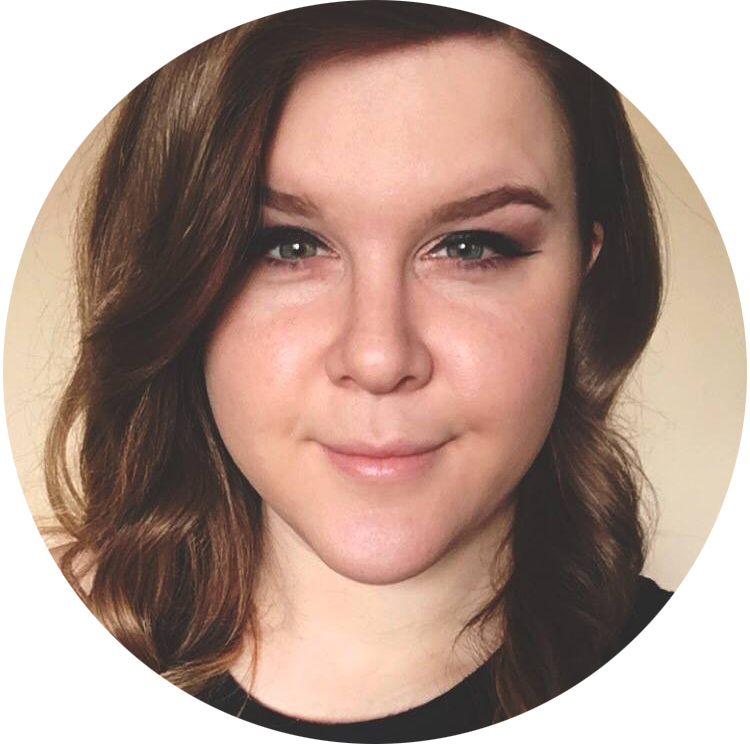 You can also follow Shimmer on Facebook! Keep an eye out for more Shimmer swatches from me in the next few weeks, I have a lot to share! These are toooo gorgeous! I love them all! Karina is beautiful!! Love it! You are wonderful at choosing base colors to make each glitter look that much more gorgeous! I've been wanting to get some Shimmer polishes for awhile now, but for some reason I haven't. This needs to be addressed! ;) They are truly gorgeous and I love the macro shots. I think Tammy is my favourite, followed closely by Linna...or Airrianne, I can't decide. 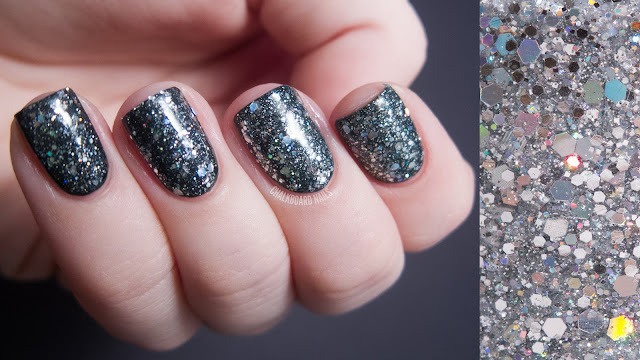 These are ridiculously gorgeous and look adorable on your nails. I wish I had such long nailbeds. Oh my gosh, I love all of these!! Gorgeous! These are all beautiful! I love the macro shots alongside the swatches! I reaaaally need to try some of these! Oh wow. I have seen a few of her colors swatched before, but these are stunning. I love them! Especially Adrienne and Linna! wow, this is a truly stunning collection! Loving all of these! I feel like Rochelle just screams Gryffindor. 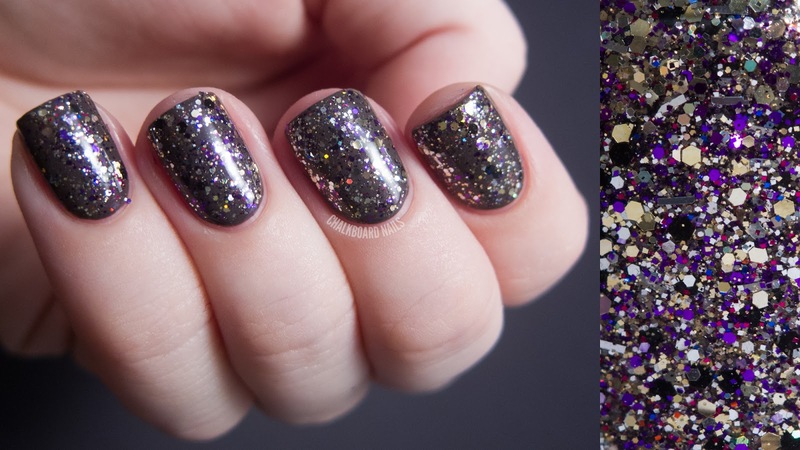 I reallu love this Shimmer Polish, the first one is amazing! Okay, I need Adrienne, but now I also need Time Traveler! Ah, what an amazing combo! Wooooow. Love all of these! Could you send me those macro shots from part 1 and part 2? I use the other ones you posted before as wallpapers. Hi Vanessa! Shoot me an email and I'll send you wallpaper size versions of whichever ones you want. From part 1: Carmen, Caroline, Cindy, Gerry, Melissa, Stephanie and Trisha.